Halloween is a popular holiday in the U.S. Common Halloween activities include wearing costumes, carving pumpkins, trick-or-treating, visiting haunted houses, watching scary movies etc… The IPMs worked with the Student Leadership Center and held a Halloween party for all students yesterday. There was a DJ playing music, different games, a costume and pumpkin carving contest. So many students came dressed in their fun costumes. Some of the costumes I saw were: Pikachu, Dorothy (from Wizard of Oz), vampires, Snow White, pirates, cow, tiger and many more! The students also got in groups and worked together to carve pumpkins. I think the best part was all of the students dancing! At one point, there was even a big circle and a few students at a time would get in the middle and perform their best dance moves! Most students have been spending hours studying for upcoming midterms so this was a good and much needed break. Please click on the picture below to view pictures from the night! 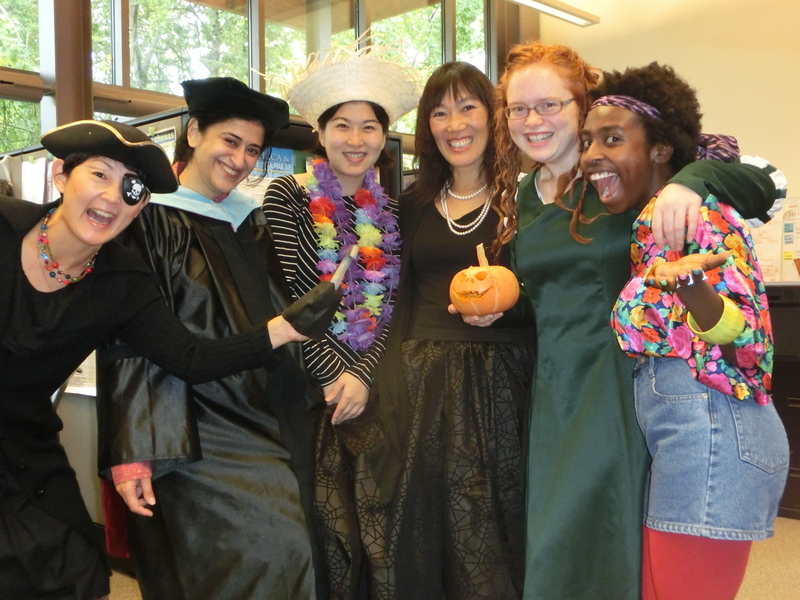 HAPPY HALLOWEEN FROM MEMBERS OF THE INTERNATIONAL EDUCATION STAFF!